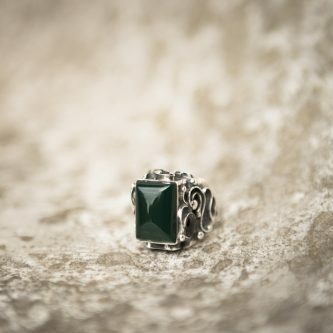 Green Onyx is a strength-giving stone, providing support in difficult or confusing circumstances and during times of enormous mental or physical stress. Onyx has the capacity to impart physical strength, and facilitates being the master of one’s destiny. This stone promotes vigor, steadfastness, and stamina. It aids in learning life lessons, imparting self-confidence, and helps one to be at ease in their surroundings.